Today is Earth Day, and it causes me to pause and reflect on my concerns about our planet. I live in an area of the U.S. that historically has been heavily affected by drought. We might be doing better this week than many parts of the West, but that hasn’t always been the case. And it doesn’t relieve the groundwater situation. 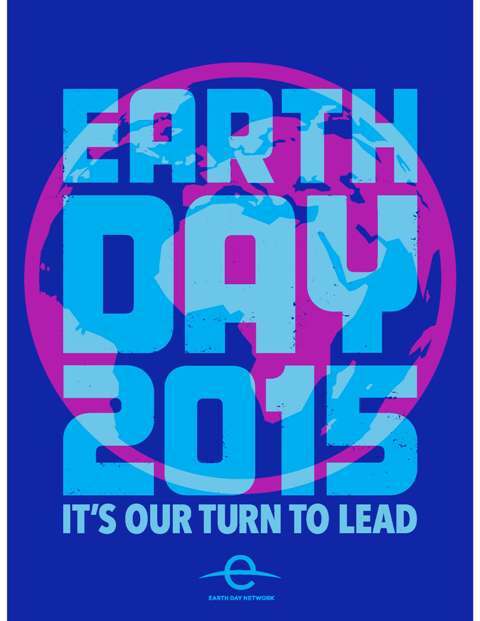 Earth Day 2015. This year’s campaign is about taking the lead. The global temperature is up 1.4 degrees Fahrenheit since 1980. Many argue that temperature relates just to regular shifts, and not permanent change, so how about this one: The Arctic ice minimum is declining 13.3 percent each decade. Melting Arctic and land ice have led to the sea level rising 3.19 mm per year. In addition, carbon dioxide levels in the atmosphere are up 400.06 parts per million, and the forest cover is down. Burn scar from massive fire in Ruidoso area a few years ago. This is from the top of the Apache Ski area. I struggled years ago to explain the phenomenon to a neighbor who used the classic line “So much for global warming” every time we received a late snow or had cool temps on a spring day. The science is complex, but in my mind, it’s intuitive. Less ice at the surface adds to the vicious circle of warming and less melt on land where it’s needed. More water in the ocean increases sea levels, like a bathtub running over. Add cold water to the mix, along with air and water that are warmer because of carbon dioxide in the atmosphere, and you’re going to affect ocean weather patterns. The swirling of sea surface waters is shown in this thermal infrared image from the Suomi NPP spacecraft on April 12, 2015 in an area just southeast of Cape Cod, Mass. The VIIRS sensors can detect slight differences in temperature at a resolution of 375 meters per pixel, and here they are colored – blue for cold, and red for warm. The warm waters of the Gulf Stream meet and mix with the much cooler surface waters from the North Atlantic. An incredibly tight gradient between these two masses of water is especially evident on the left side of the image, where the area of white is very fine between cool and warm. These boundaries are often ecological hot spots, especially for fisheries. Image courtesy of the National Oceanic and Atmospheric Association. I do know that the first quarter of this year was the warmest on record for Earth. I’ll leave the discussions to the experts, though. For now, I know I could do more individually. I could cut down on some waste and recycle more. We’re already trying to grow more of our own food because it’s hard to get fresh vegetables locally. We have a passive solar home, but we could do more to cut down on electricity and natural gas use. My family on a hike we took along the Rio Bonito near Ruidoso one August. And water, that precious resource. I’ll increase my efforts there as well, trying to capture more rain water during monsoon season. And I’ll try harder inside the house to decrease water use, because every drop adds up. Finally, I’ll continue to research and offer as many practical ideas as I can on saving water in your landscape.